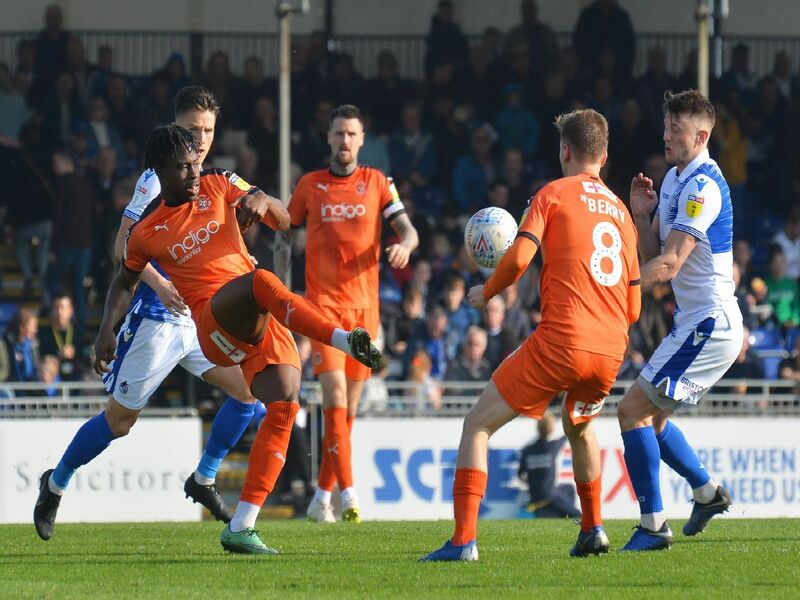 Pelly-Ruddock Mpanzu made it 200 appearances in a Luton shirt at the weekend, as the Hatters won 2-1 at Bristol Rovers. Check out the special picture gallery below for some of Pelly's most memorable moments during his Town career. After signing on loan from West Ham United, Mpanzu was handed his debut in the FA Trophy at Staines on November 2013, as the Hatters were held to a goalless draw. 2. December 7, 2013: Alfreton 0 Luton 5. Mpanzu was given his first league start for the Hatters in their 5-0 thumping of Alfreton Town in the Conference. Andre Gray bagged a double, with Paul Benson, Luke Guttridge and Alex Lawless on target. 3. January 28, 2014. Pelly is permanent. After impressing in his original loan spell, Mpanzu returned on a permanent deal to the Hatters, signing on the same day as loan addition Jernade Meade. With Luton 3-0 up and cruising against the Bulls, Mpanzu netted the first goal of his Hatters career, slamming home after being set up by Paul Benson's clever flick.